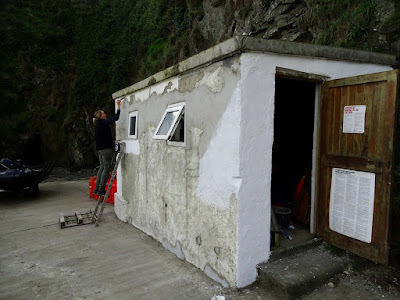 It may seem like a boring subject to write a blog post about but our newly painted boat shed is well worth it and is the culmination of pretty much a years work. If you read What are they up to? last autumn you would know the background to the project. Celtic Sustainables donated some environmentally friendly, high quality and highly durable paint to bring our boat shed up to scratch and we are very grateful to them for their kind donation. What we hadn't realised is how much work would be involved. It was a classic case of opening a can of worms. 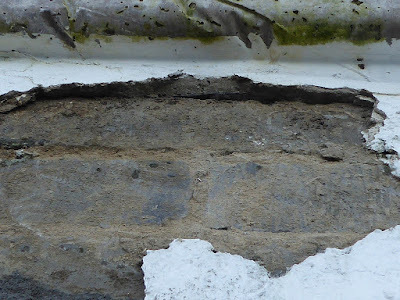 As we scraped the old paint off we realised that a lot of the render was also falling off and to cut a long story short we spent the whole of this summer knocking off loose render and re rendering. 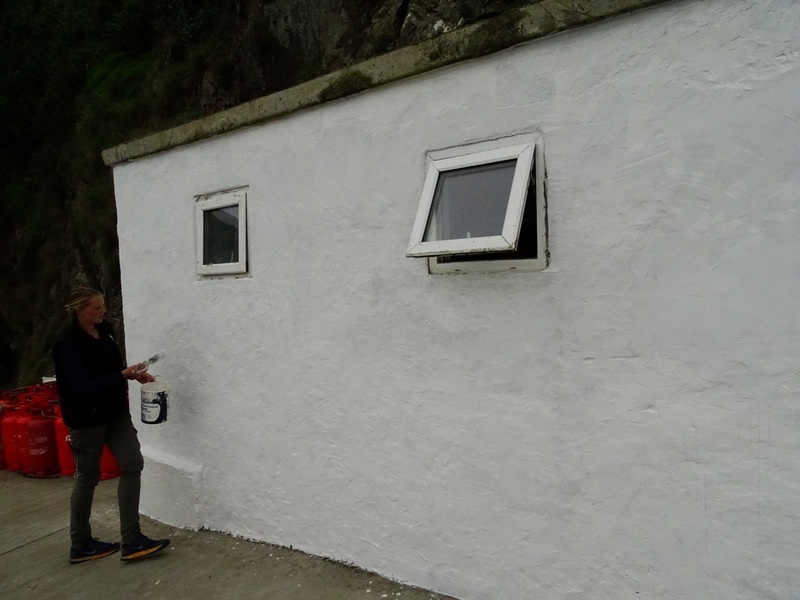 This was done with a lot of help from our weekly volunteers and even friends and family that came to visit us on the island. Then came the satisfying job of getting the paint on. 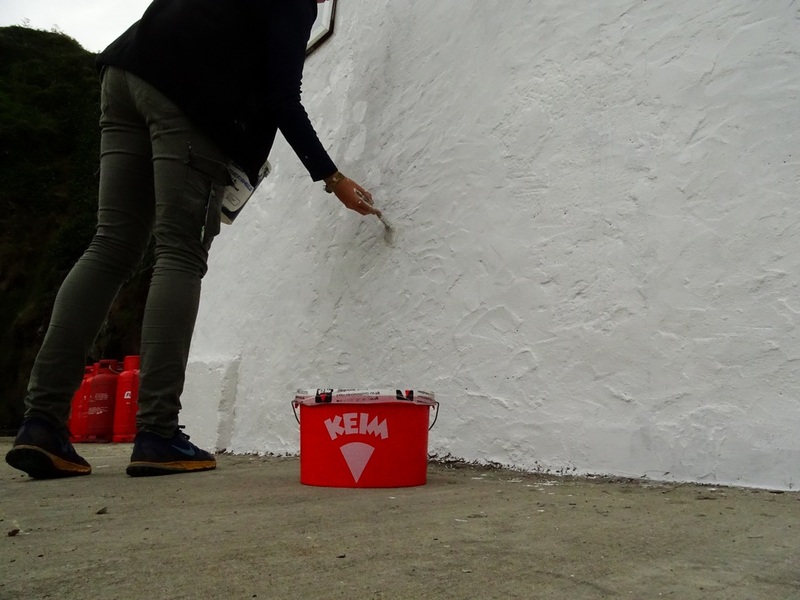 Anti fungal solution came first then three coats of Keim paint. 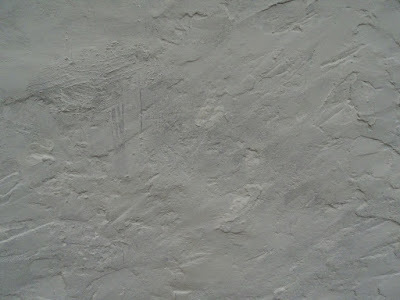 The finished job looks amazing but I will let the following pictures paint the full picture. So the job is done and we would like to thank everyone involved. 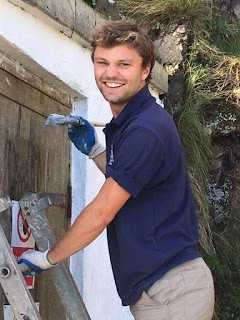 This includes Celtic Sustainables for the paint, Chris Ward of BC Building for his help and advice with the rendering and of course everyone who helped with the work through the middle of an incredibly busy season on Skomer. The paint was a pleasure to use and looks great so we are happy to recommend the paint itself and Celtic Sustainables for sustainable building options from natural insulation to heating and rainwater harvesting. Check them out online or at their store in Cardigan. 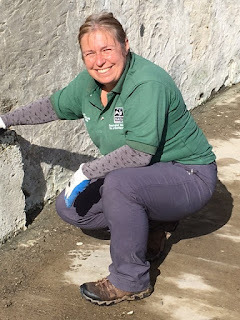 I’m Julie, a behavioural ecologist from Australia, who now lives in the UK and has spent three seasons working on Skomer, but this is the first year I have worked for The Wildlife Trust of South and West Wales as their field worker. In the summer I was involved in monitoring the breeding success of seabirds, and during Autumn I am part of the team monitoring the Grey Seal (Halichoerus grypus) population. 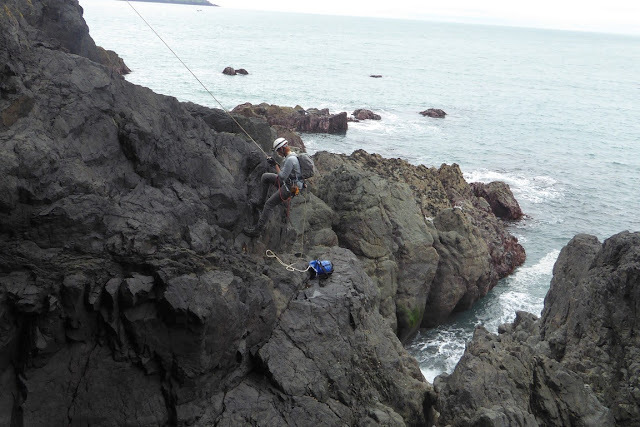 Watching seals from the cliff tops can be lots of fun, but there is also a serious side to our work. Long-term monitoring projects, such as the seal project that started in 1983, provide insight into the vulnerability of marine populations to pressures created by human-induced disturbances and climate change. These projects can help us understand how to protect and preserve the marine environments and its wildlife. 4) record fatalities and probable causes of death. 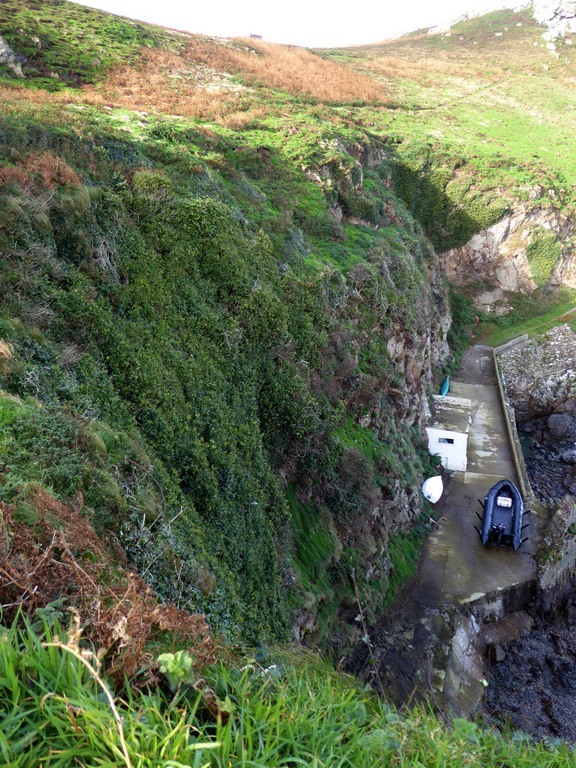 Unfortunately, recent events on the island have led to an increase in fatalities. Earlier this week, the UK experienced ex-Hurricane Ophelia, the strongest storm since 1987. 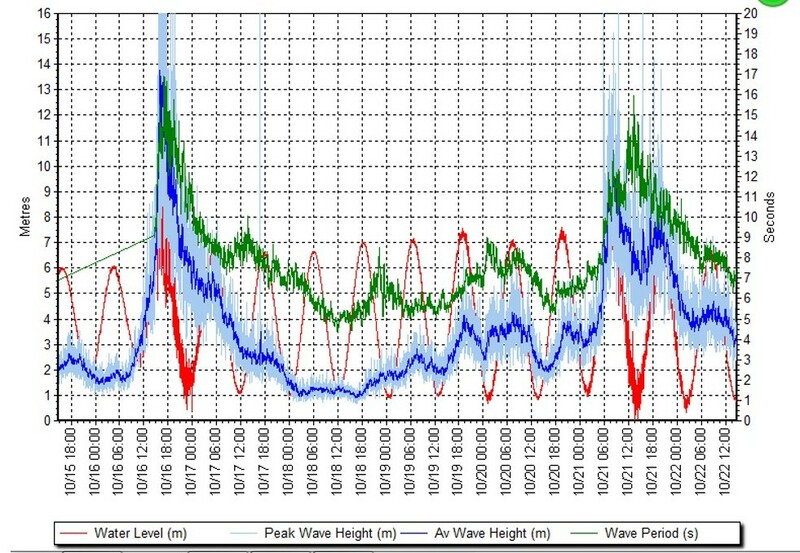 The winds and waves caused by Ophelia were phenomenal with over 16m measured at St. Ann’s Head (the weather station can’t measure more than 16m so no one knows how large the biggest waves really were). 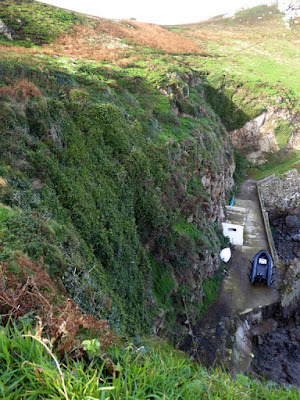 And this weekend storm “Bryan” battered the island severely once again. 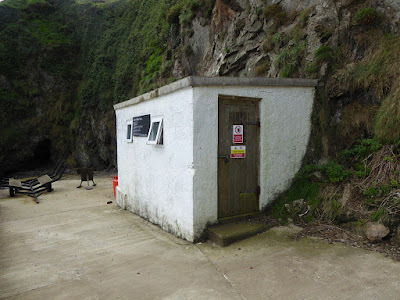 There was some impact on the island infrastructure, but the effects on the seal population were much worse. Approximately two-thirds of the seals pups have died or disappeared from the monitoring beaches; that is 50 of 75 pups lost since the first storm (we haven’t yet counted what is left after storm Bryan). Those that remain appear to have injuries to their heads or bodies and often look lethargic and weak. We have also noticed pups washed up on different beaches from where they were born, which happens every year but not to such an extent. If they are still small and their mothers can’t find them they will starve. 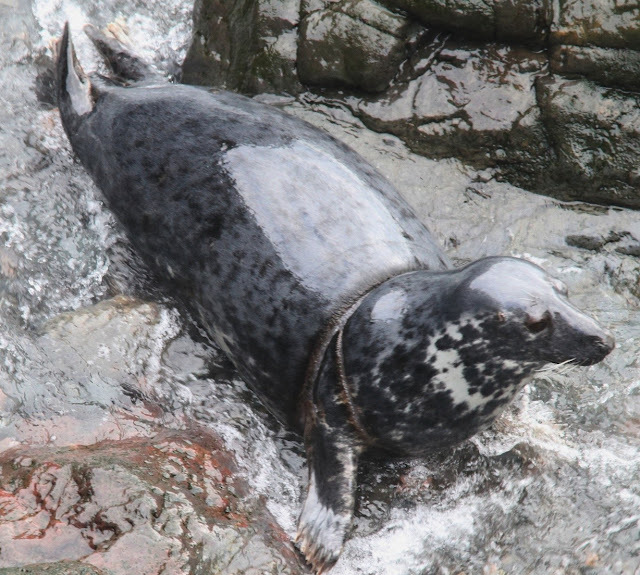 The number of adult seals hauled-out on the beaches has also decreased since the storm. While sharing this information is rather saddening, there is also some positive news to report. We found two seal pups born the day after storm Ophelia with a couple more born later in the week. Importantly, the data collected this year will be compared with other years and may increase our understanding of the influence of storm events, such as Ophelia, on the breeding population of Grey Seals. 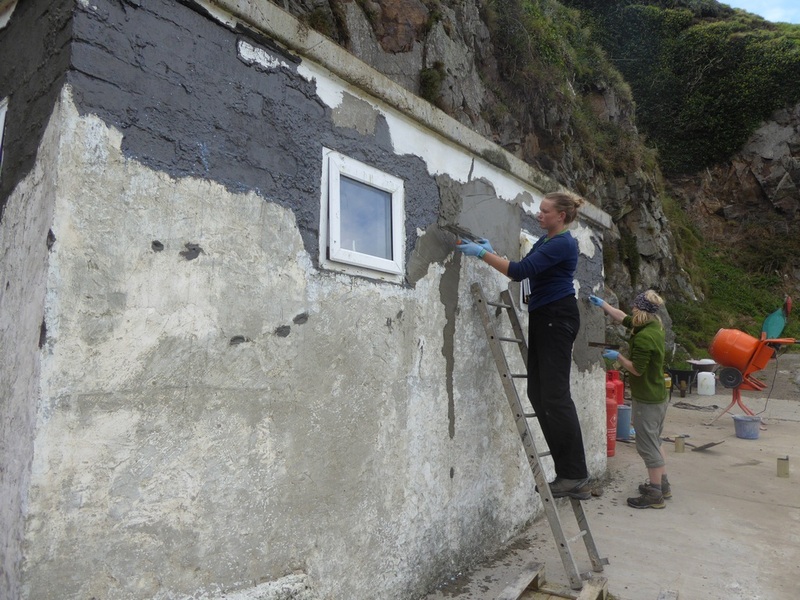 If you are interested in the seal monitoring work done on Skomer, you can read more in the 2016 report, which is available here on the WTSWW homepage. Oh Ophelia - what have you done? Yesterday we had the most incredible storm I've ever seen - and even Mark, from the Marine Conservation Zone, who is a local told me he had never witnessed such waves before. 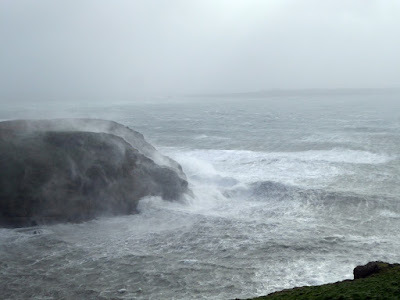 The sea spray (it wasn't rain) was so fierce it stung my face and eyes and my hair thrashed around my head like a whip. All animal life had vanished, not a single rabbit was about and the gulls that still had been flying in the morning all had disappeared by the afternoon. The wind was howling around the house and the roof rattled like crazy. 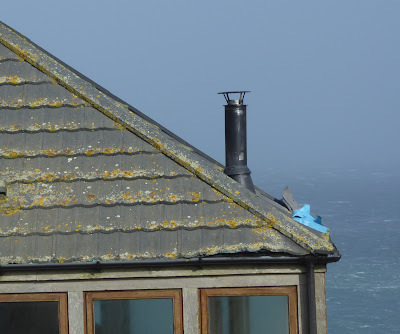 I couldn't see out of the windows anymore as they were covered by salt water and the attic hatches were dancing in their frames. Unfortunately high tide and the strongest winds clashed and turned South Haven into a boiling soup pot - with the seal pups floating around like pearl barley. How many have survived we will know by this afternoon, once we have completed our seal round. 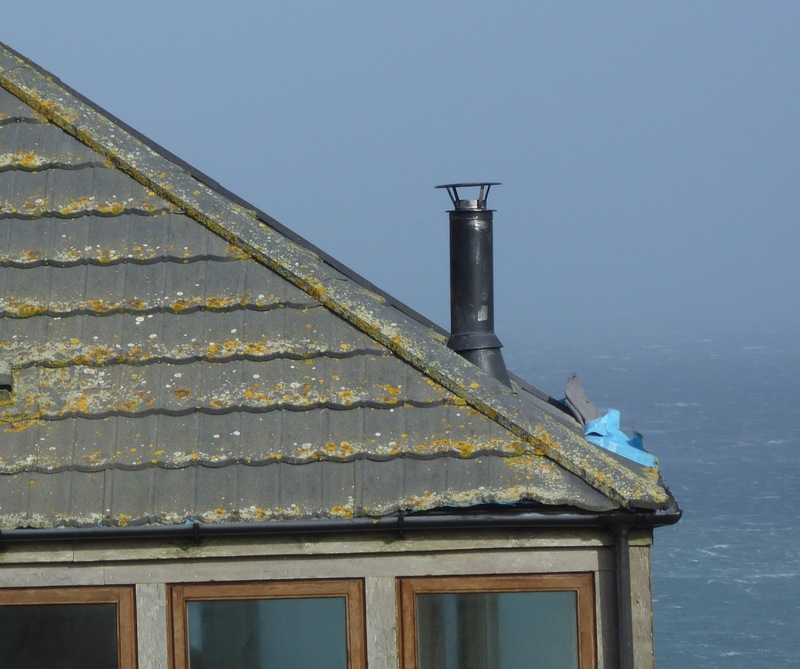 And of course the buildings got a thrashing too: The Farm has lost several slates off the roof and North Haven has lost four roofing sheets. I had to watch them fly off and couldn't do anything to prevent it. By now they are in northern Scotland I suspect. We will patch up the damage today in time for the next storm on the weekend. 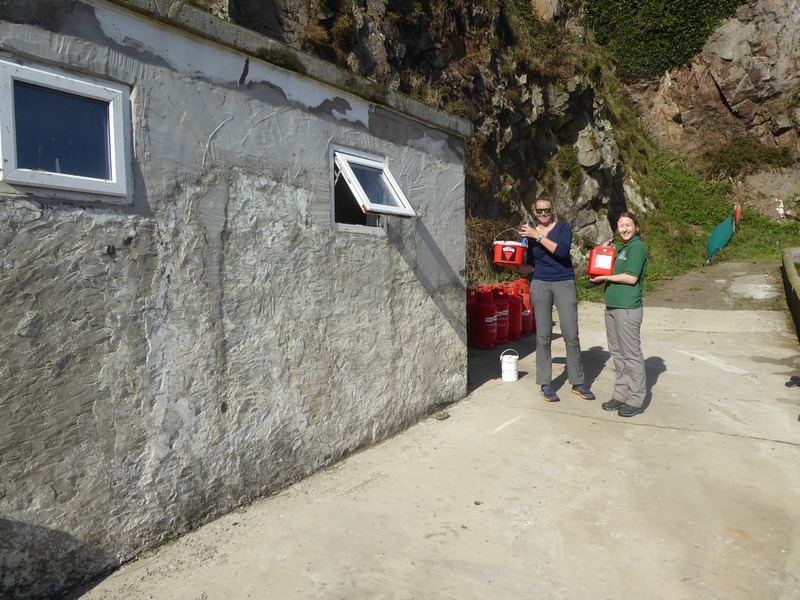 The seal season is well underway with over 170 pups born so far. 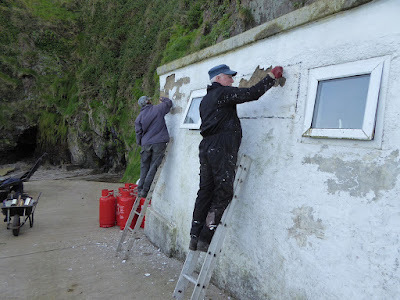 We are continuing the Skomer seal study which started 34 years ago and the longer we do it the more interesting it gets. We get very detailed information on population changes as well as survival and birth rates and we also get insight into the life history of individual animals. Every year we take many hundred seal photos. 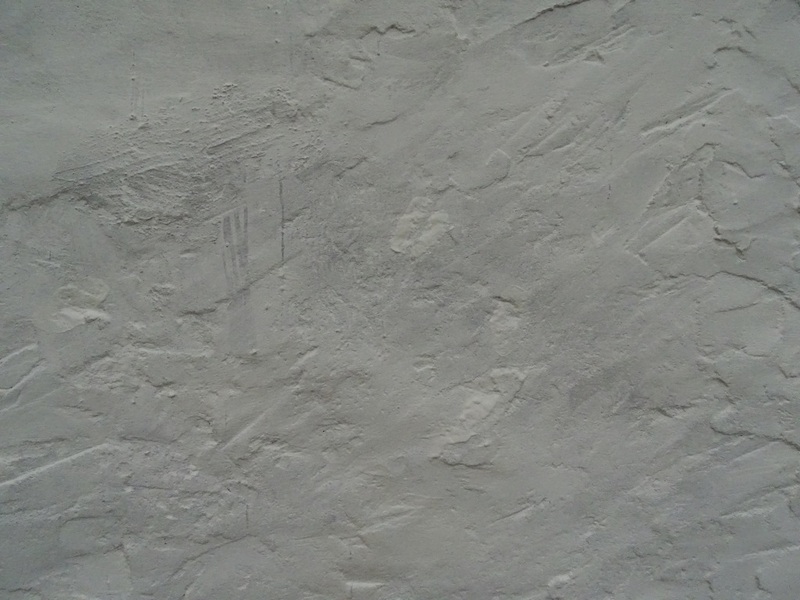 If a seal has a scar we try to find a match in our existing seal catalogue by comparing the new photo with the old ones. 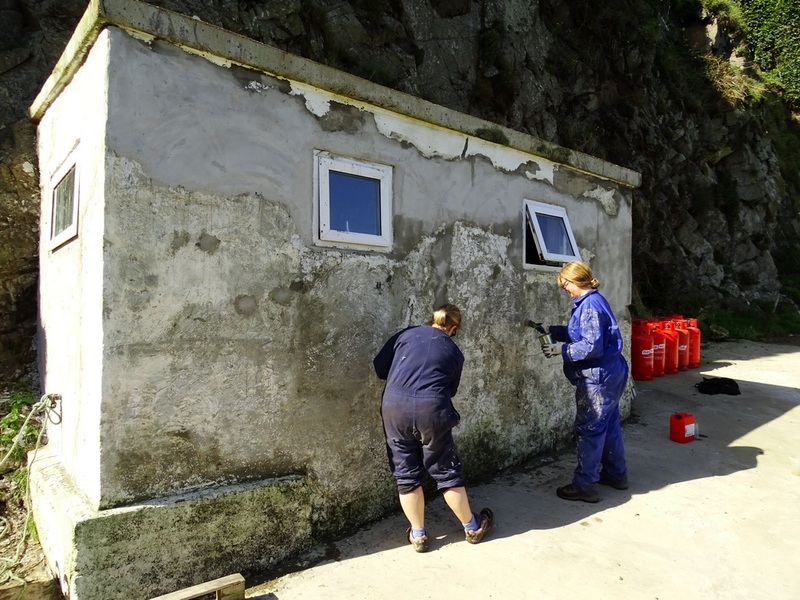 The photos of unscarred seals get uploaded into a Welsh database and a computer will do the matching. 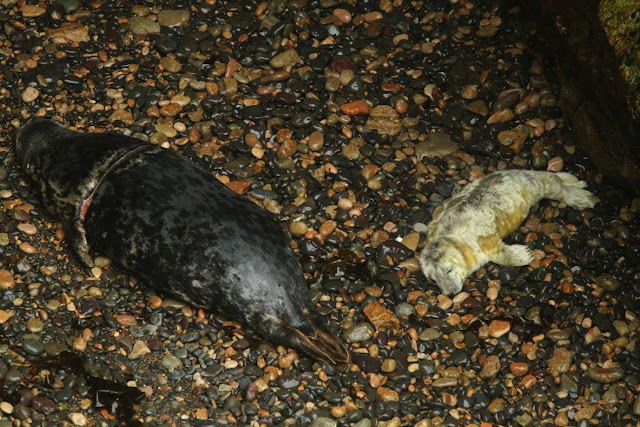 Just the other day we made an amazing discovery: There is this seal called Bagshot or BK-066 and she was found in Perranporth, Cornwall on 11th February 2011 as a 12 week old immature with netting embedded deeply into her neck and chest. She was taken into care by the National Seal Sanctuary, Gweek and the netting was removed. As she was still growing the netting would have most likely strangled her as she got older. 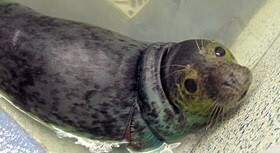 On the 21st of May 2011 she was released at Gwithian, Cornwall with a blue flipper tag attached to her hind flipper. 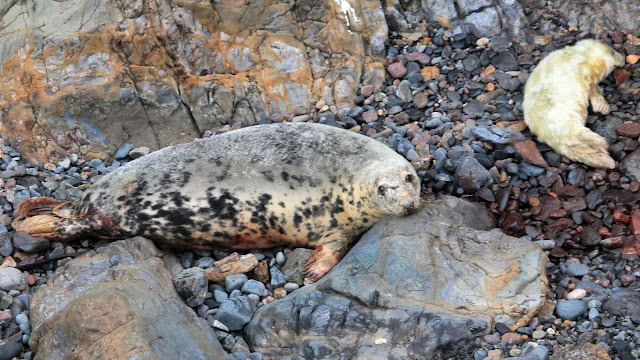 In September 2012 Dave Boyle, who was the Skomer Seal Field Worker, took a photo of a heavily scarred immature female Grey Seal on North Haven beach and noticed she had a blue flipper tag with the number 39. After a bit of research he found out that she came from Cornwall and was called Bagshot (her less inventive Skomer name is BK-066). In April 2013 Dave photographed her again hauled-out on North Haven beach. 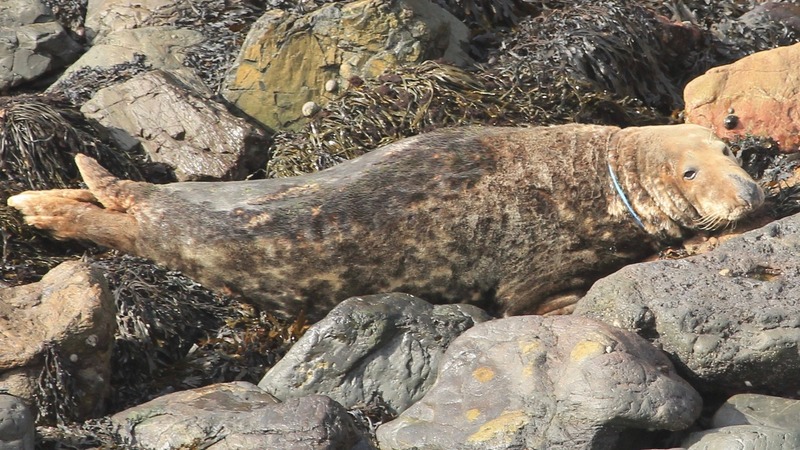 She was heavily moulting, so Dave wasn't able to use the pattern of her coat to identify her but her scars make her an unmistakable seal. And then she was seen again on Skomer by Ed and myself in March 2015. She seemed to return to Skomer regularly and liked hauling-out on North Haven beach. She was becoming a beautiful adult female (ignoring the scars). This year we photographed her several times between the 9th and 19th of September - again hauled-out on North Haven beach. She did look rather big and we were wondering whether she was pregnant. By now she was in her 7th year and Grey Seals usually start breeding around that time. 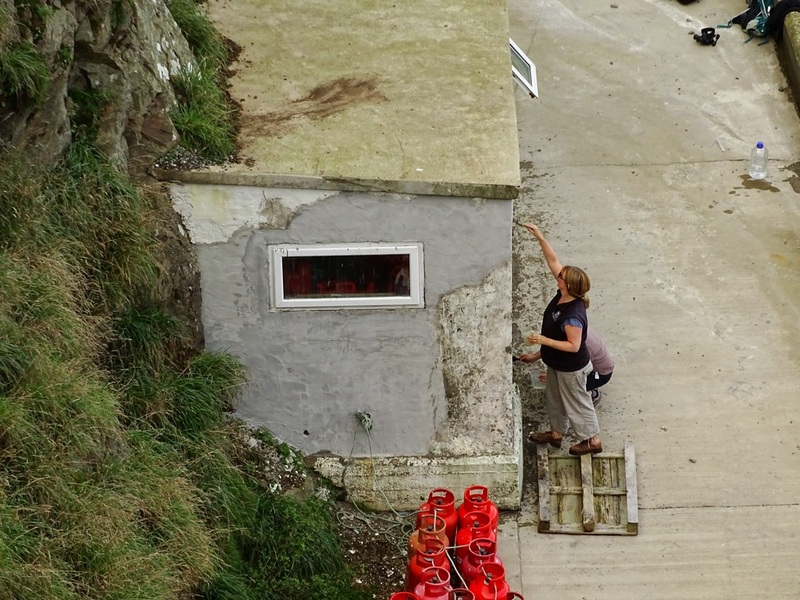 And then - hurrah - on 30th of September she was seen with her (probably) first ever pup. 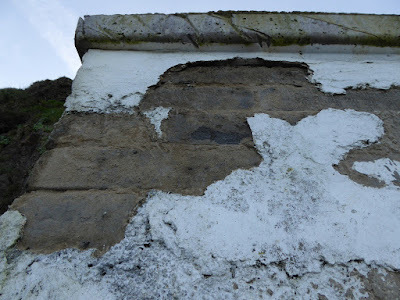 The scars are still, after all these years, very raw and it seems that they have burst open again. Maybe it's because she put on a lot of weight during her pregnancy. She will have to feed her pup, now weighing around 12kg, until it is about 50kg and she won't be able to go hunting whilst doing so. She will use up all her blubber to produce fat rich milk and only after three weeks of suckling will she be able to leave her pup and go back to sea to feed herself. What an amazing success story and how wonderful that seals have been studied on Skomer so intensely for 34 years so we can tell such tales. We are very fortunate that NRW are funding this incredible piece of research.